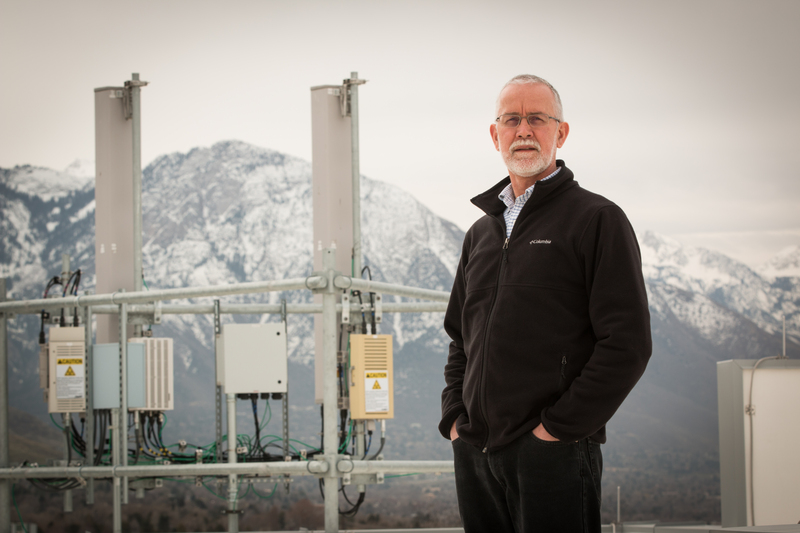 The future’s most cutting-edge research in mobile and wireless communications, from faster cellphone connectivity to connecting a network of smart cars, will be tested on a new platform to be built at the University of Utah and in Salt Lake City. The PAWR Project Office has selected the University of Utah and Rice University in Houston to create and operate a “living laboratory” for mobile and wireless technologies that will be built on the U campus and along a section of downtown Salt Lake City, it was announced during a news conference April 9. This research test bed for telecoms, tech companies and research institutions — known as the Platform for Open Wireless Data-driven Experimental Research (POWDER) — will be one of the first in the United States and one of the largest and most complex in the world. Rutgers University, Columbia University and New York University will build a second complementary platform in New York City. University of Utah School of Computing associate professor Kobus Van der Merwe. Monday’s news conference at the U’s Warnock Engineering Building was attended by officials from the National Science Foundation (NSF), the PAWR Project Office, Rice University, University of Utah President Ruth Watkins and researchers from the U’s School of Computing. The project is part of The Platforms for Advanced Wireless Research (PAWR) program, a $100-million joint effort by the NSF and an industry consortium of wireless and other tech companies to create city-scale testing platforms for research on wireless communication and networking technologies. The program is managed by the PAWR Project Office, which is run by U.S. Ignite, Inc., and Northeastern University. Companies and universities can use the POWDER platform to test their mobile and wireless technologies, from future mobile networks such as 5G and beyond to a network that connects autonomous cars. 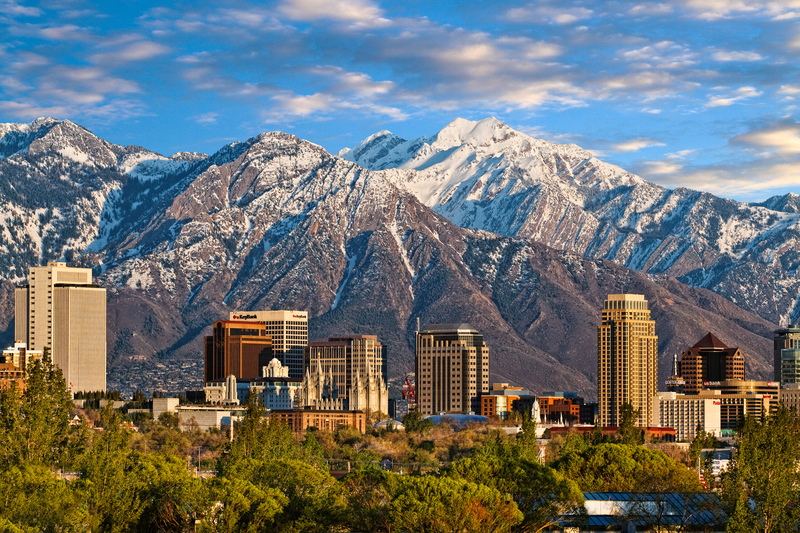 The University of Utah and Rice will receive $17.5 million from the PAWR Project Office and up to $10 million in equipment and services from the PAWR industry consortium to build and operate the platform in Salt Lake City for the first five years. The University of Utah in Salt Lake City. The test bed will involve installing “nodes” or wireless network base stations on the University of Utah campus and along a two-mile corridor of downtown Salt Lake City from about 2nd Avenue to 500 South and from the U campus to about West Temple. These nodes will also be installed on 60 vehicles including some U commuter buses and Salt Lake City vehicles such as street sweepers. The platform will be based on the idea of using “software-defined radios,” network boxes that can add or change features by just reprogramming the software, a popular concept because they can change network features without swapping out expensive hardware. Combined with “software-defined networking” and cloud computing, this will make the test bed software-based from beginning to end, allowing for great flexibility. In addition to the nodes, researchers also will install 70 networked sensors — such as environmental sensors that read temperature, humidity and air pollution — around the U campus and Salt Lake City so companies or universities can test network technologies that involve the use of sensors. Researchers will begin building the platform as early as next month and hope to have it completed and fully operational in three years. With this laboratory, companies such as Ericsson, Nokia, AT&T, Qualcomm, Verizon, along with defense contractors, research universities and government labs can test their technologies on an open, real-world wireless network as opposed to on paper or in computer simulations. With it, scientists can improve the speed, efficiency, reliability and security of their technologies as well as develop new applications, services and privacy features. “The platforms announced today will enable never-before-imagined research in living laboratories across the country, which is a new and important milestone for advancing wireless capabilities,” said Jim Kurose, assistant director of NSF for Computer and Information Science and Engineering. The University of Utah and Salt Lake City were selected for two primary reasons: The expertise of the U School of Computing’s Flux Research Group — a team co-led by Van der Merwe that produces test beds like this for a range of technologies including wireless networking and cloud computing — and because of a unique collaboration of local partners that each bring strengths to the project. While Flux brings decades of experience in creating this kind of platform, Rice University will be providing additional next-generation wireless equipment through its Reconfigurable Eco-system for Next-generation End-to-End Wireless (RENEW) program. The Utah Education and Telehealth Network (UETN), a statewide education network, is supporting the platform with its fiber backbone and will monitor its activity. 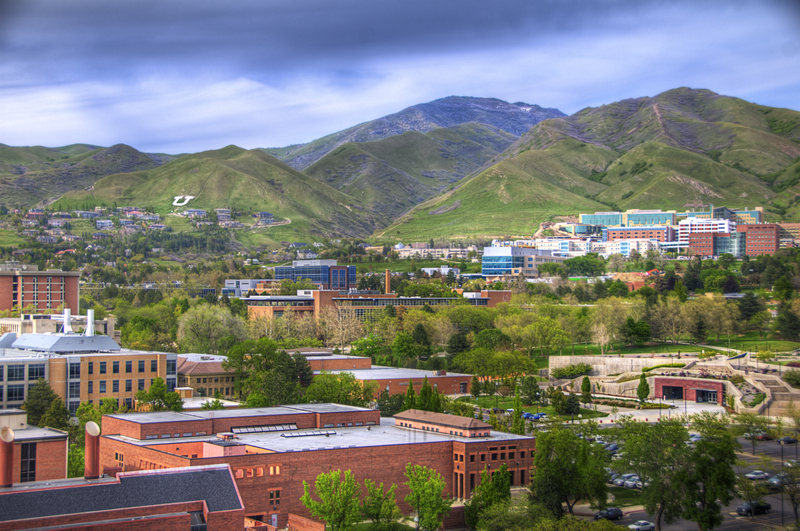 University Information Technology, the University of Utah’s IT department, will also provide fiber infrastructure and monitor the platform from its downtown Salt Lake City data center. Also, a consortium of business partners who plan to use the test bed, such as National Instruments, Intel, Samsung, AT&T, Nokia, Qualcomm, HTC and more, will provide additional equipment, software and services to the platform. More information about the project, as well as access to a technology preview of the platform, is available at powderwireless.net.